Growing your own broccoli makes sense if you want the fantastic health benefits of this amazing cruciferous vegetable. Broccoli contains large amounts of vitamins A, B, C, and K. The vitamin K and D provided in broccoli aids in vitamin D metabolism. It aids in detoxing your body by activating, neutralizing and eliminating unwanted biotoxins. Steamed Broccoli lowers cholesterol. The fiber in broccoli interacts with the bile acids of your digestive system when cooked so that the bile acids can be excreted thereby lowering your cholesterol. 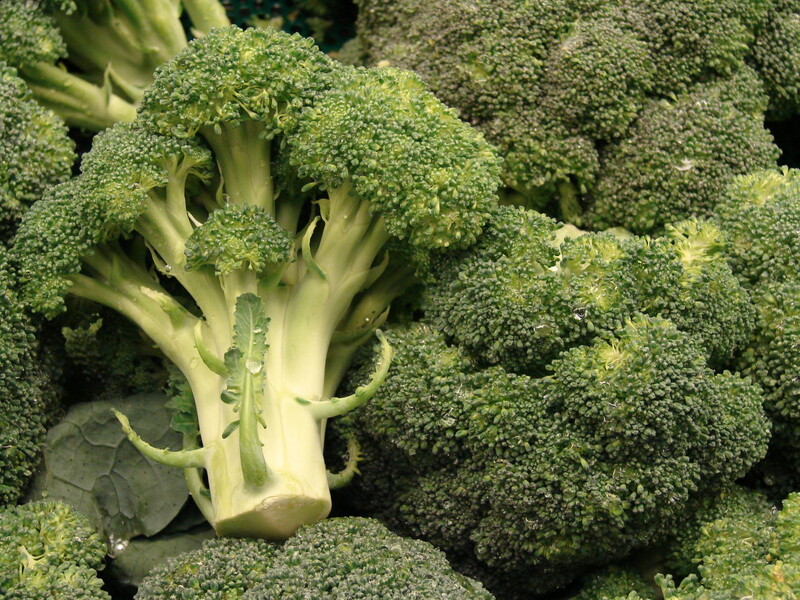 Raw broccoli lowers cholesterol as well, but not as much. Studies have shown that it contains a substance that helps decrease the impact of allergy-related substances on our body and has unique anti-inflammatory benefits. Sow indoors. Harden for one week, then plant plants in the garden when they are six inches tall. Planting Depth: Plant seeds 1/4 inch deep. Plants should be planted at same depth as in the transplant pot. Distance between Plants: 2-3 feet apart. Like most other annual vegetables, broccoli will grow faster if grown in the full sun. However, if growing during the heat of the summer, broccoli will be kept from bolting by growing it in the partial shade. Also like other annual vegetables, broccoli does best if grown in rich,well drained soil rich in organic material and enriched by added compost. For best results, plant broccoli so that flower heads form when days and nights are both still cool, so choose a cultivar which can develop before the summer turns hot. Plant broccoli so that you can have a spring harvest as well as a harvest in the autumn months. If you live in an area where the ground never freezes or you have a greenhouse, a third crop is possible. For your early spring crop, either plant seeds directly in the garden two months before the last frost date or transplant potted plants directly into the garden. Broccoli plants are available at most garden centers in the spring. 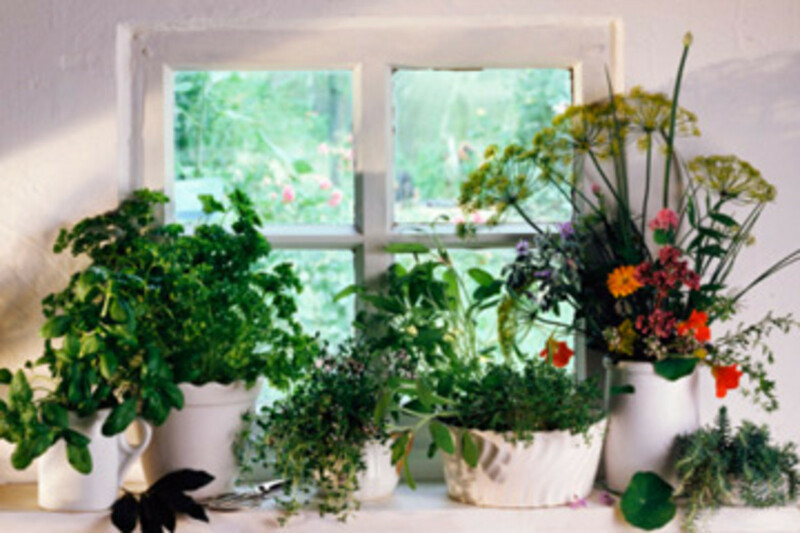 By planting potted plants, you will get a head start on the hot weather. 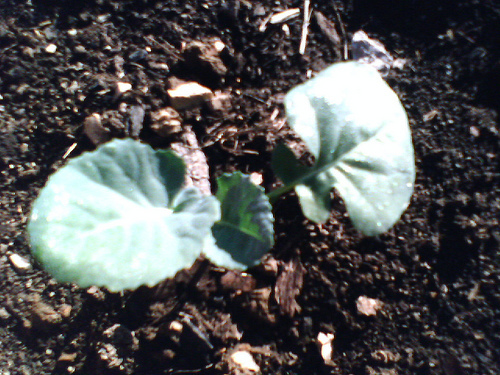 Whether planted in a pot, plant broccoli seeds 1/4 inch deep. Place pots in sunny window or under grow lights and maintain temperature between 60-65 degrees F. Seeds germinate in about 4-5 days. Transplant plants into garden when plants are six inches tall and has 2-4 leaves. Be certain to harden off plants for a week prior to planting in the garden. To harden off the plants, put out into shady area during the day for a couple of days, then putting in a sunny location during the day for several days. Plant them 2 foot apart in the garden bed. In each planting hole, dust with about a tablespoon of kelp powder and then soak with water. 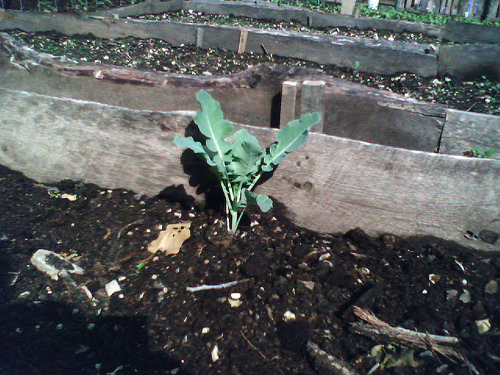 Plant broccoli 1-2 inches deeper than they were growing in the pots. Firm soil around plants, then sprinkle with more kelp powder and water again. For fall broccoli, sow seeds directly into the garden about 2 months before first expected frost. In mild climates or if growing in greenhouse over the winter, plant in the late fall. To produce tasty broccoli, it is important to keep it growing at a steady pace, therefore, making certain that broccoli has adequate and regular watering of one inch to an inch and a half per week (either by rain or irrigation) is important. In addition, nutrients also need to be available to the plants at all times so about 2-3 weeks after planting, I pull the mulch back and side-dress my broccoli with additional kelp powder and composted manure. 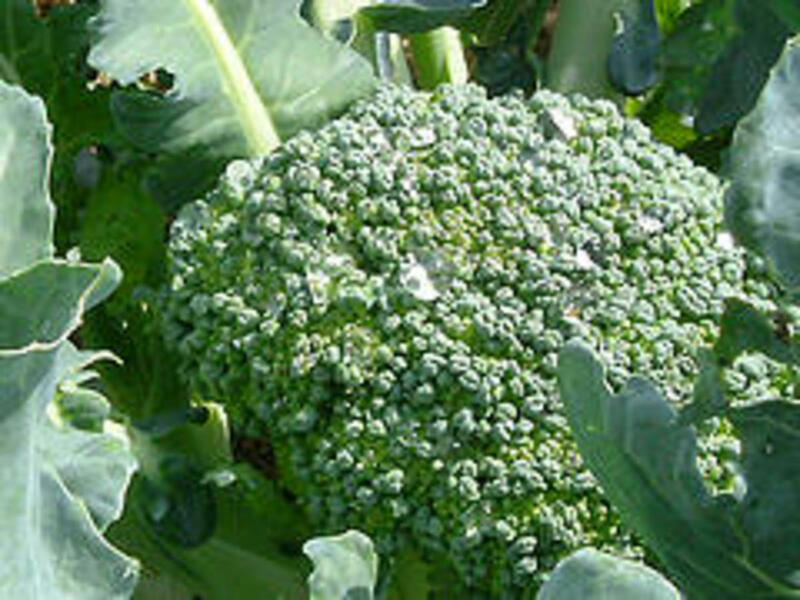 If fresh rabbit manure is available, however, this also can provide an awesome fertilizer for hungry broccoli plants. Repeat monthly until a weeek before harvesting the flower head. 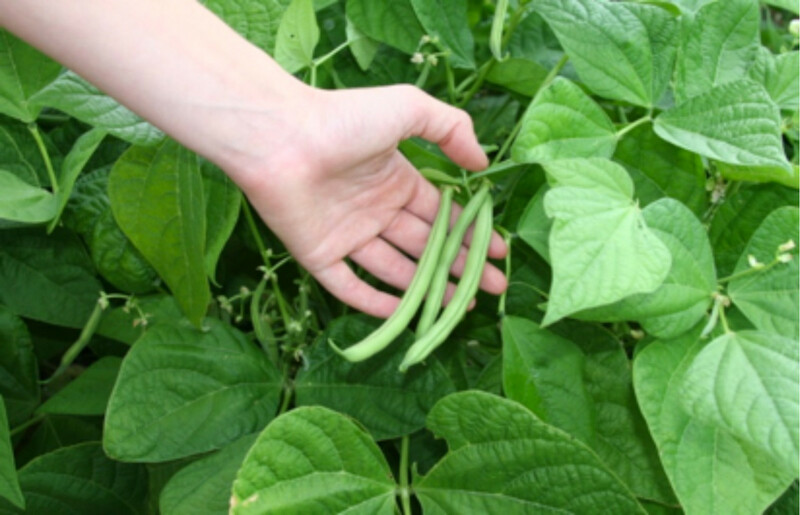 Once you have harvested the flower head, you will be able to continue to harvest large tender side shoots until hot weather or until a hard freeze stops production. Broccoli does well with herbs such as dill, camomile, sage, peppermint, and rosemary. Also does well with other vegetables such as celery, beets, potatoes and onions. Broccoli does not grow well with tomatoes, pole beans or strawberries. Of the cabbage family, Broccoli is the least affected by pests. 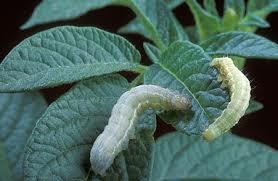 Possible pests include aphids, cabbage loopers, cabbageworms, cabbage maggots and flea beetles. 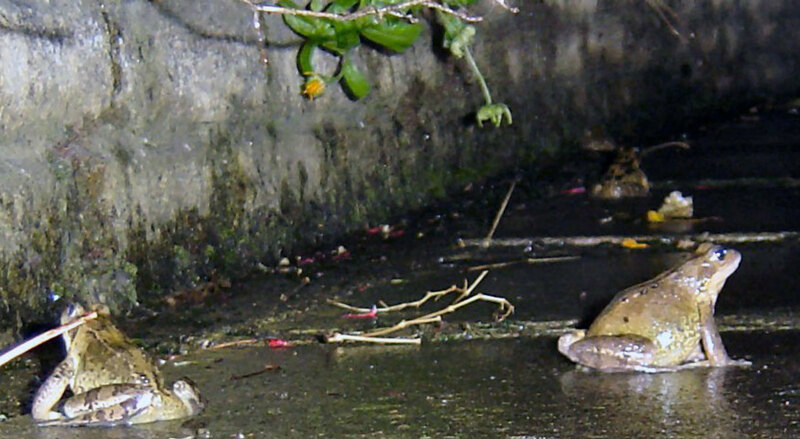 Other pests include slugs, snails, mites, and harlequin bugs. Many of these pests can be controlled by spraying with soapy water or hand picking and then dusting around plant with a mixture of wood ashes and diatomaceous earth. Diseases such as black leg, black rot, and leaf spot can be prevented with good cultivation, and crop rotation. destroy affected plants and don't plant in broccoli or other members of the cabbage family in that area for a couple of years. For club root which symptoms are week yellow plants with deformed roots, add lime to increase the soil pH to 7.0. The Cabbage looper could cause problems in your broccoli, hand picking, dousing with soapy water, or dusting with DE can help stop this larvae's damage. Harvest florets before they start to open and turn yellow. Cut just below where the stems start to separate. After you have harvested the main head, side shoots will grow off the main stem and you can keep picking these until the weather gets too hot or too cold. To get rid of any insects that may be harbored in the broccoli, drive them out by soaking the broccoli in vinegar water for fifteen minutes before using. Broccoli can be frozen or pickled or stored in the refrigerator for up to two weeks. Definitely try the wood ashes or DE in fighting the cabbage worm. (I live in zone 6b and we have similar problems and this does work for me. You've inspired me to try again. In my part of the country, planting broccoli is an invitation for cabbage worm convention. I certainly hope it helps, Bill! Happy Gardening! I needed this, Donna! Our broccoli does not do well and I'm not sure why. I'll try to follow your instructions to the letter and hopefully that will help. Its certainly would be worth it to give broccoli a chance in your garden! Oh, we love broccoli at our house and eat it with just about every meal. How great would it be if we could simply grow it ourselves!